JERSEY CITY, N.J.--(BUSINESS WIRE)--Wylei Inc., an AI Predictive Content technology and marketing automation pioneer, today announced it is recognized by the New Jersey Tech Council as the 2017 Innovative Tech Company of the year at the 21st Anniversary Awards celebration. 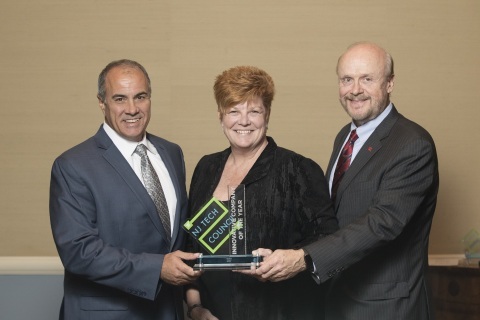 With this award, the NJ Tech Council recognizes an outstanding company who through its products, services or business approach has come to be a serious competitor in the marketplace. “Staying ahead of the curve is not an easy task with such a flourishing tech community and our team is proud to credited with the Innovative Tech Company of the year Award. We value this honor from our peers and celebrate the success of all the companies recognized this year,” said Meg Columbia-Walsh, CEO, Wylei.